Here you can find guides, free and paid practice resources, and anything you need to perform well on job assessment tests. With the JobTestPrep advantage, you get customized spatial reasoning practice packs available for specific jobs. Spatial reasoning refers to the ability to understand reason and remember spatial relations among objects and space. Spatial reasoning is also referred to as spatial visualization, spatial ability, and spatial intelligence. Spatial reasoning tests measures the ability to think about objects in 3D and to draw conclusions about those objects from limited information. Spatial ability tests measures four common types of spatial abilities: spatial or visuo-spatial perception, spatial visualization, mental folding, and mental rotation. People with high visual-spatial intelligence are good at remembering images, face, and fine details, which will help them excel on this test. Spatial or visuo-spatial perception – This refers to the ability to perceive spatial relationships in respect to the orientation of ones body despite distracting information. Spatial information includes features, properties, measurements, shapes, positions, and motion. This ability is sometimes used in Map/Floor Reading. Spatial visualization – This is the ability to mentally represent visual appearances of an object and spatial imagery, which consists of mentally representing spatial relations between the parts or locations of the objects or movements. This skill is sometimes measured through Matching Parts type questions. Mental Folding – This is the complex spatial visualization ability that involves the folding of 2D pattern or material into 3D objects and representations. This ability can been seen in Understanding Patterns type questions. Mental Rotation – This is ability to mentally represent and rotate 2-3 dimensional objects in space quickly and accurately, while the objects features remain unchanged. Rotated Blocks is a perfect example of mental rotation. This section asks test takers to locate points and routes of specific locations on floor plans, maps, or pictures. These types are questions are usually found on firefighter or police officer exams. During the test, it may be required to memorize the image, after which questions will be asked based on the image. These questions measure the ability to transform two-dimensional figures into three-dimensional figures and vice versa. This spatial visualization question measures a candidate's ability to mentally turn, flip, and piece shapes together. This skill is used in mechanical tests specifically for when dealing with parts. This section requires test takers to identify which rotated shape among the answer choices is the same as the original shape in the question. This type of question measures the ability to identify a pattern buried within a large and cluttered image. This skill is particularly used in police work. 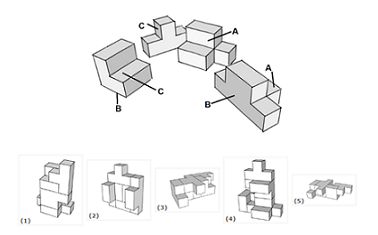 Spatial Analysis – This sections asks questions that measure the ability to take different spatial views and mentally combine them into a three-dimensional figure. Block Counting – These questions require the test taker to count three-dimensional blocks, which may be visible or hidden. Identifying Hidden Figures – The questions in this section require candidates to find geometric shapes placed inside more complicated figures. 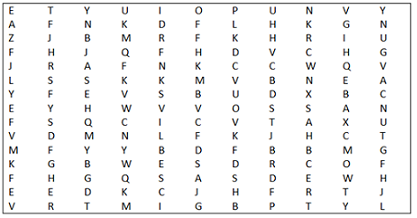 Letter-symbol coding – This section requires the identification of codes that are hidden in symbols and letters. Examining objects and mazes – Given objects are examined and classified according to a given set of codes or rules. Spatial reasoning tests vary depending on the position or field they are intended for. This allows employers to assess if applicants have the specific spatial intelligence needed for a particular job. For instance, many public safety positions—such as firefighters, police, and 911 dispatchers —are required to have a good working knowledge of how to find a relationship between different objects or figures. When applying to a public safety position, candidates may see the spatial ability section referred to as spatial orientation. Spatial visualization tests are also often used in the recruitment process of engineers, architects, chemists and more. How Are Spatial Ability Tests Used? Spatial ability tests and spatial reasoning tests are used for different pre-employment hiring processes. An engineer must mentally visualize the interactions of the parts of a machine or building that he or she is assigned to design or work with. A mechanic must understand the relations and mechanics inside of a car as he or she relies on spatial perception to understand the car's visual framework. A police officer or firefighter must be able to identify the most efficient route to drive from one location to another. Candidates should also be able to imagine how something would look if it were moved around or if its parts were moved or rearranged. 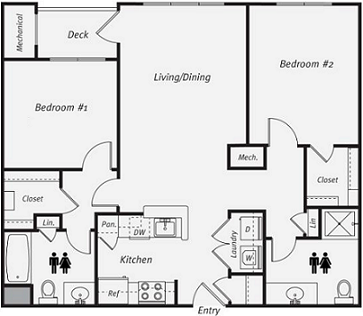 They are also confronted with diagrams or floor plans, which may be a mirror image or some other variant of an area. By becoming familiar with how spatial abilities are utilized on the test, you become more prepared for the actual exam. Our practice tests are designed to help you succeed so that you can get the position you desire. Spatial ability tests are becoming a more integral part of the job recruitment process. Today, more than 70% of employers use assessment testing as competition for desirable roles grows. Therefore, preparing for the test has become crucial. JobTestPrep provides practice packs that include practice tests, score reports, and detailed answers explanations. These materials cover all the necessary skills you need to succeed on spatial ability tests. Start preparing today so that you can successfully pass the exam.